To many people, a glove is nothing more than way for them to cover their hands and protect themselves from chafing or cold weather while they play golf. But for professional golfers, a golf glove is so much more, and the impact it can have on the game is undeniable. If you are searching for the best golf glove for you to use, then take time to read through this entire in-depth article. We’ll show you how to find the right kind of glove, including what common buying mistakes to avoid. We’ll also showcase 10 of the best gloves available, with full reviews for each of them to help you make your buying decision. We want to show you 10 of the best golf gloves you buy, and we hope one of them is a good fit for you. 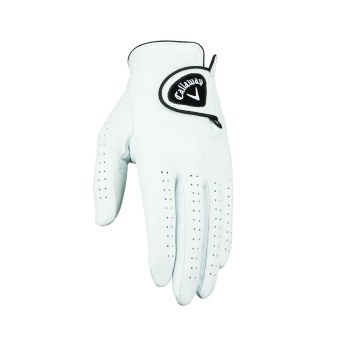 Callaway is pretty much the standard when it comes to golf gear, and their high quality golfing gloves are no exception. These are breathable and comfortable with a light but secure fit that makes them easy to put on and unlikely to fall off. The cotton Terry cuff is great at absorbing moisture and keeping you feeling comfortable even in hot weather. It should be noted that the stitching between the fingers is not as strong as the rest of the glove, and when the gloves start to wear, that will likely be the first place that a tear develops. There are better quality gloves out there from other manufacturers, but they won’t offer as much value as this glove. 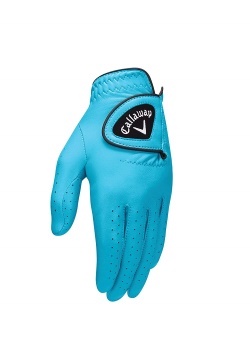 Callaway sells these at an affordable price while still offering a quality glove that should last for a while. A great fit that feels comfortable. The low price and high quality means lots of value for you. 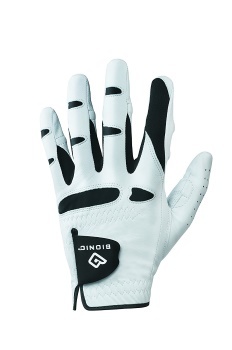 These are more expensive than the average golf glove, but they are also very high quality apparel. They should last you for a very long time, without wearing or tearing for some time. These are some of the most breathable gloves you can get, and they offer a great fit, as they feature a three-tab closure that keeps them securely on your hands without feeling too tight. The thumb and palm are made from genuine leather for added comfort and reduced slippage. This added leather feature also takes the two places where the gloves are most likely to chafe or wear down and ensures they last longer and provide greater comfort. That’s great value for consumers who are tired of paying about the same price for their gloves as these cost and not having them last for very long. Leather patches ensures generally weak glove parts are made very strong. Slightly more expensive than your average golf gloves. These all-weather gloves are designed to be incredibly durable and offer a snug fit. They are thicker and tougher than most golf gloves, and that hurts their breathability. These can become uncomfortable to wear for long periods of times if they become hot, and you may feel the need to take them off in between strokes. They may not be what you want to wear during hot summer days out on the course, but they work well for just about any other kind of weather. They are also flexible enough to fit a range of hand sizes without feeling uncomfortable. The rubbery material stretches easily and feels very comfortable, and it manages to stand up to wear and tear fairly well. Despite minor issues with overheating while wearing the gloves, the price is nice, and you get a lot of value for your money with these. Stretchy material makes for a comfortable fit. These leather gloves will not wear out easily. 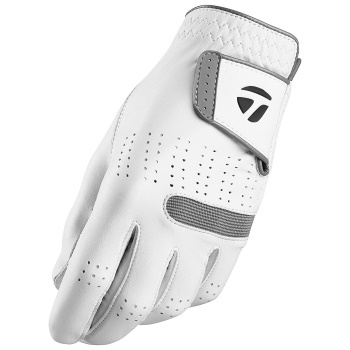 They cost a bit more than your average golf glove, but they also last two or three times as long, thanks to their durable construction. They also offer great gripping power that keeps the club from slipping through your hands. The thicker materials can make them hotter, and the manufacturers have done what they can to help with the breathability, but they can become too hot after extended wear. The fit is great, despite the thicker materials. The formfitting design ensures that your fingers are not baggy and that you can precisely control the grip on your club and feel like you are wearing a second skin. Superb fit that feels very comfortable. Pricier than the average golfing glove. Can become kind of hot. 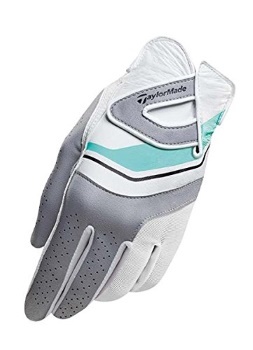 There aren’t a lot of options for this golfing glove from TaylorMade, but the single left or right handed choice leaves you with a glove that is well made and should be comfortable for most people. The glove is very soft and thin, but still well constructed enough to last most people for a while. The stretchy nylon inserts create a comfortable fit that conforms to your hand without squeezing it and without leaving any bagginess in the fingers. That leads to better control over the club and a more precise golf game. The relatively thin materials, wicking at the base of the glove and air holes throughout make for a breathable and comfortable glove that most people won’t mind wearing for a few hours at a time. The finely crafted leather isn’t as thick and stifling as you might expect, but it does create a very durable glove. Designed to be really tough. Conforms well to make for a comfortable fit. These gloves from Callaway come in a variety of colors, and they look stylish out on the green. Better than that, they are high quality gloves that are affordably priced. They are also designed for breathability, with air holes in the fingers and thumb and heat reduction technology in the palm. This creates a glove that fits close on your hand but doesn’t make your hands feel too warm. The lightweight suede and leather feel very soft on the hand and won’t cause overheating or chafing over long periods of wear. The material is stretchy, so it should fit most people’s hands comfortably. You don’t usually get the combination of quality design and flexibility like you do with this glove, so the extra attention to detail and commitment to make a fine product that most people will be happy with is admirable. 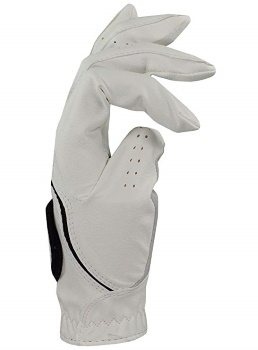 The only issue we have with this golfing glove is that it can stretch out too much if it isn’t quite the right size for your hand, and that can leave some sagginess by the fingers, which tends to hamper your golf game. May stretch out over time. With this glove, you get a contoured fit that is extremely comfortable and lightweight. It’s not just soft to the touch and gentle on our hands. It is also breathable and unlikely to overheat and make your hands feel uncomfortable after long periods of playing. The price is about average for a golfing glove, and the stretchable Lycra panels ensure a snug but not overly tight fit. It also comes with a pull tag that lets you fit the gloves perfectly to you liking, so there is no chance of them slipping. The main grip area of the glove, however, leaves something to be desired. It doesn’t grip like it should at the palm and fingers, which is disappointing, but most players won’t even notice it. Offers several features that allow for a tight fit. Great at reducing heat in your hands. Grip isn’t as good as some of the competition. This soft glove is one of the more durable products we have reviewed in this list, and it will stand up to a lot of abuse without showing signs of wear. 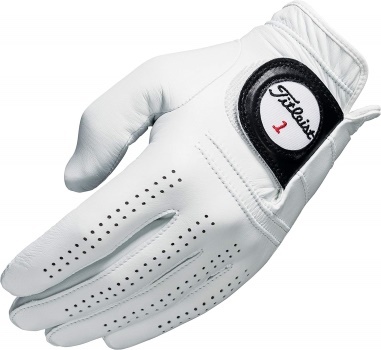 It should be durable for the price point, which is sometimes double of what most golf gloves go for. The fit is great as well, and this gloves conforms to your hand snugly without feeling too tight, so long as you pick the right size. It’s also one the more breathable options on this list or anywhere, and most players feel like they aren’t even wearing a glove. It’s so lightweight and thin that you would expect it to wear out fast, but that’s not the case at all, and Titleist has done a commendable job. This is a glove that’s more expensive than most but well worth the extra few dollars it is going to cost you. Designed to not make your hands sweat much. Feels like you aren’t even wearing it because it is so light and comfortable. Costs more than the average. On the other end of the pricing spectrum is this glove from Wilson. It’s a decent glove and definitely worth the price, but don’t it expect it to last as long or be quite as comfortable as some of the more expensive options. These are good gloves for both men and women because of their stretch-ability and conforming fit. They are made for men, but they’ll fit most ladies’ hands as well. The leather on the grip points can crinkle when you play, but the entire glove is very breathable and great for keeping your hands cool in even hot weather. You’ll get some good play out this glove, but you can expect to have to replace them in less than a year if you play golf often. Breathable design keeps your hands cool. One of the cheapest options around. These all-weather gloves offer a great, conforming fit and breathable design that makes them super comfortable. They are about average price and reasonably durable. In most ways, these are average gloves that work well with nothing to really to complain about. You can use them for several games and not see any sign of wear, and the customer service from the manufacturers is excellent according to most reports. You would not expect this kind of quality from a lesser known manufacturer at such a reasonable price, which makes this glove very easy to recommend. Price offers some great value. Durable construction means these gloves are made to last. Not as formfitting or breathable as some of the higher quality options. You might not think that buying one kind of golf glove as opposed to another will make that much of a difference, but we want you to realize just how much of an impact the right or wrong golfing glove can have on your game. First, you have to consider what golfing gloves are for. 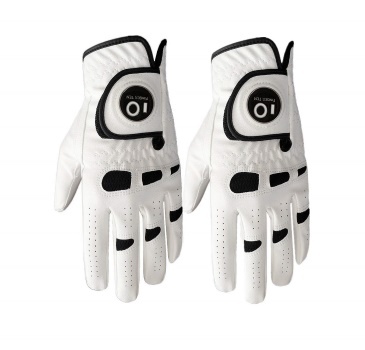 They help you to keep your grip on the club, they keep the sweat from your hands from getting onto the club and causing it to slip, and they protect your hands from chafing and weathering as you play. It can be kind of rough on your hand to play golf for hours at a time, because let’s face it, that’s what most people will do. 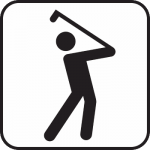 Most golf games are not short, and you will be holding your golf clubs for much of that time, which can really wear on your hands, unless you have a high quality glove. So, if you have a poor quality glove or no glove at all and play for hours out on the green, then your hands may be blistered and sore by the end of the game. The next time you want to play golf, your hands may still be recovering. Golfweek cautions that wearing golf gloves may not completely eliminate the risk of blistering and chafing on your hands, but it can drastically reduce it. The higher quality your golf glove is, the better it fits you and the more effective it is, the lower your chances will be that your hands will become damaged while you play. A good glove makes for a more comfortable game. The club will feel more comfortable in your hands, and your hands are less likely to get cold and feel weak during winter games. If your hands get too cold, then you lose mobility and your game is going to suffer dramatically. There are definitely times where golf gloves are more useful than at other times, but any professional golfer knows the value of gloves and the kind of effect they can have on their game. We’re going to show you how you can find the best golf glove and improve your game in the process. How it Fits- First and foremost, your golf glove needs to be a good fit. It should be comfortable on your hands and not too tight or too loose. A glove that is not fitting you well will be constrictive and unpleasant if it is too tight, causing you to sweat a lot. If the glove is too loose, then it may slip and lead to more chafing and blistering than you would get without the gloves. 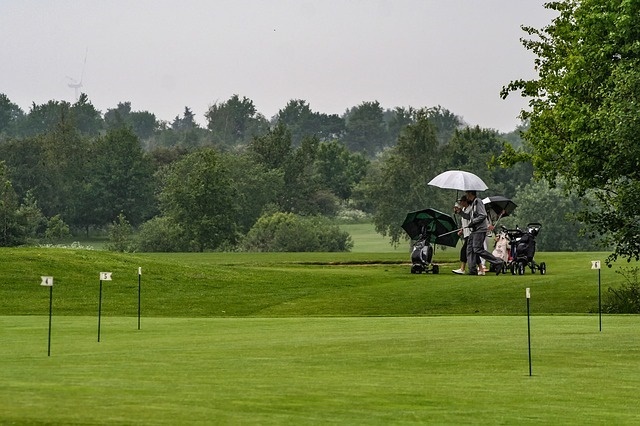 A Glove for All Seasons- There are some gloves that are made for particular weather conditions, and Global Golf advises the use of rain and winter gloves during rough weather conditions to ensure that your hands are protected. These kinds of specialty gloves will keep your hands warm and reduce slippage on the golf club better than conventional gloves will. You may want to find a few gloves that work well for you, with a different glove for each kind of weather. This kind of glove is typically sold in pairs, and you will probably want to wear two gloves if you are wearing them to protect yourself against bad weather. The Right Hand- The hand you play with is the hand you should buy the golf glove for. If you are right handed, then buy a right handed glove, and lefties will need a left-handed glove. If you are buying online, it is easy to accidently get a glove for the wrong hand, particularly if you are left-handed. Most of the gloves you see will be made for right-handed players, but make sure you double check the hand of the glove before you buy. Breathability- This is an important factor that Golf Monthly points out is one of the keys to comfort. A breathable glove will have either thin material or numerous small holes to allow in air and decrease sweating and overheating. It can be tough to tell how breathable a glove will be from just looking at a picture on the packaging or marketing materials. So be sure to read some customer reviews and pay attention to the remarks they make about the glove’s breathability. This is especially important if you tend to sweat a lot or have clammy hands. Thin Gloves- Cheaper gloves tend to be made out of thinner materials, and you need to be careful about buying gloves that are very inexpensive. You may be getting something made from thin material that won’t last long and that provides little protection against cold weather and chafing from the golf club. Keeping the Same Glove- Glove sizing can be tricky, and if you just stick with the same glove from season to season, warns Foot Joy, then you may be damaging your hands and hampering your game. Your glove size can change every now and then, and you should recheck your size at the beginning of every season to see if you need to get a new glove. You might be surprised at the difference just a small size change can make in how comfortable the glove feels while you play. 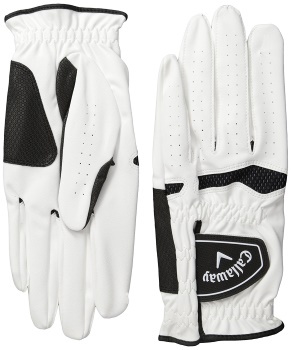 Buying Less Than You Need- Don’t assume that you are getting a pair of gloves every time you buy golfing gloves. In many cases, you simply get a single glove, and you want to ensure that you buy it for the right hand. If you want gloves that will keep you warm enough or that create a matching pair, then ensure that any gloves you buy come with a pair. Lots of them are simply single gloves, and you need to be aware of this so you don’t make the common mistake of ending up with one when you expected two. Also, if you are buying gloves that are sold individually, be sure to buy one for each hand, as they will be sold for the hand you intend to play with. Too Thick- Just as gloves that are too thin can be a problem, so too are gloves that are too thick. Of course, thicker gloves will last you longer and allow more wear and tear before they start to develop holes and tears, but they will also be uncomfortable if you are wearing them for long periods of time. Finding out what materials the gloves are made out of can help you determine how thick they are. For instance, leather gloves tend to be thicker than those made of cotton or rubber. There are tons of choices out there for golf gloves, and many of them are great options, but few of them would give you the very best protection while offering a comfortable fit that actually improves your game. 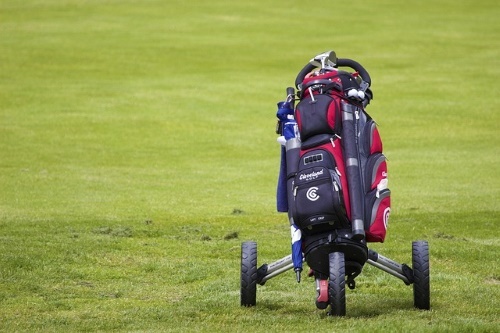 We hope you can use the information we have provided here to find the right glove for yourself, and if there are any other golfing products you would like to shop for, then check out our other buying guides to make sure you get the best golfing equipment for yourself.